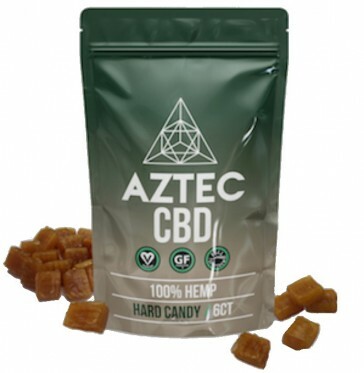 Get your high quality CBD dose via these epic tasting honey coated hard candies from Aztec. Each piece contains 5mg of high quality, full spectrum CBD. Each 30mg pack contains 6 candies. keep out of the reach of children - these aren't 'normal' candy!